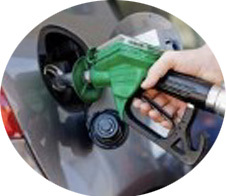 Quicksoft FuelXL is a petrol-pump management solution to take care of all your back-office operation with ease. The FuelXL is fully integrated and very easy to use software with minimum data entry. Very simple and intutive user interface. Multiple Accounting Year, separate database, better data organization. Meter Reading, Dip Reading, Credit-Card, Petrol-Card, Credit, Cash Sale Entry from Single form. Fully integrated Billing, Accounting and Inventory Management. Data Import Export to minimize the Duplication and data entry.